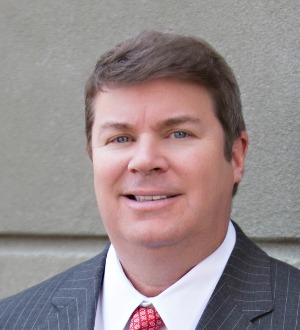 Peter J. Butler, Jr. is a partner in the New Orleans office where he principally practices Commercial Litigation. He has extensive experience in all aspects of Commercial Litigation including trial, appellate work and opposing or compelling arbitration. Mr. Butler also has extensive experience in representing governmental officials and officers in connection with navigating the intricacies of the Louisiana Code of Governmental Ethics, including representing such officers and officials before the Louisiana Board of Governmental Ethics. He has also represented clients in various business related transactions including contracts and leases, formations of entities, the purchase and sale of assets of those entities, and the transfer of ownership interests to and from existing or new owners. various torts and breaches of contract matters. All of the foregoing litigation involved intensive discovery, sophisticated motion practice, writ application practice, and presentation of trials. Mr. Butler has particularly extensive experience in litigating the dissolution of business ventures, including partnerships, limited liability companies and closely-held corporations, as well as disputes among such businesses' owners and between such businesses themselves and one or more of its owners. Mr. Butler also has extensive experience in litigating breaches of fiduciary duty. Mr. Butler is a Certified Public Accountant. Upon graduation from Tulane University Law School in 1987, Mr. Butler clerked for the Honorable Fredrick J.R. Heebe, Chief Judge, United States District Court, Eastern District of Louisiana, from 1987-1989. Mr. Butler has been AV® Preeminent™ Peer Review Rated by Martindale Hubbell since his first year of eligibility to receive any rating in 1996. Mr. Butler is a native of New Orleans.